As little as twenty years ago, the only recycling that most people ever did was an occasional trip to the ‘bottle bank’ with glass bottles and jars. But since then, recycling has gone from something that only committed environmentalists did to being something that we all do as part of our daily life. From having separate bins in our homes to the growth of dedicated recycling centres, recycling of our rubbish is now second nature. In 2013, 44% of waste from households in England was recycled, up from nearly 18% just ten years earlier. But what about larger items from our homes – how easy is it to recycle them? One of the easiest ways to recycle larger things you no longer need is to sell them, using sites such as eBay, Gumtree or at a car boot or other type of second-hand sale. By selling your unwanted items rather than putting them into landfill you are not only making money, you are saving the buyer money, and you are reducing the amount of landfill waste. It’s a win-win all round! 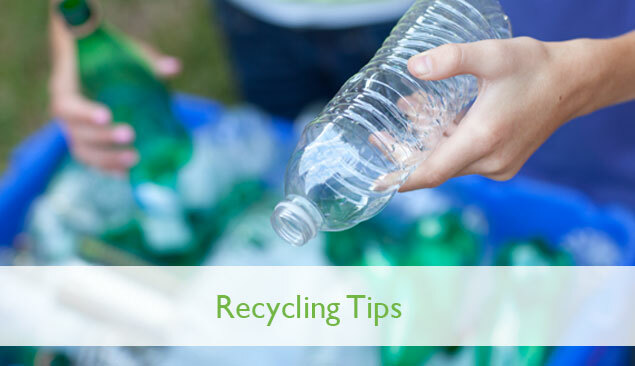 But if you don’t want to sell things, or just don’t have the time to do it, there are other ways you can recycle specific items. Here are some ideas. Don’t throw out old clothes. The obvious place for them if you don’t wish to sell them is to hand them into a charity shop. A lot of charities now offer a bin bag service, where they will come and collect from your doorstep on a specific day, so you don’t even have to leave the house to recycle! If the items have reached the end of their life, you can still recycle them through fabric recycling schemes. You can usually find fabric recycling bins at your local recycling centre. If you have a large piece of furniture that you no longer require then there are a number of charities or local schemes that may take it from you and the great news is that many arrange to collect the item from you. A quick internet search should let you know what schemes operate in your area. Alternatively, why not ask family and friends if they’d be interested in the item – you’d be amazed at how often you will be able to pass the piece of furniture on to someone you know. It’s harder to recycle electrical goods but it can still be done. Your recycling centre may have a scheme where they collect old white goods and small electrical items that are then taken away and refurbished for sale or donation. Check with your local centre to see what services are offered.